Over the last couple of years Taiwan has been steadily haemorrhaging diplomatic allies. Countries from Africa, Central America and the Caribbean have switched allegiance to Beijing, leaving just 17 countries maintaining formal relations with Taipei. The largest bloc of such countries is in the Pacific, comprising Kiribati, the Marshall Islands, Nauru, Palau, Solomon Islands and Tuvalu. Following an address at the Australian National University this year, Solomon Islands Prime Minister Rick Hou ruled out any diplomatic switch ahead of his country’s national elections, which are due to be held by about March 2019. There is increasing chatter about the prospect that Solomon Islands may be the first of Taiwan’s Pacific dominoes to fall. Even so, the approach of the elections seems to have stimulated thinking in Solomon Islands about the merits of a future switch. There is increasing chatter about the prospect that Solomon Islands may be the first of Taiwan’s Pacific dominoes to fall. Taiwan faces a number of challenges in shoring up its links with Solomon Islands. For the past couple of decades, Taiwan has invested heavily in Solomon Islands’ political elite through its support for the notorious “constituency development funds”, that is, discretionary funds provided for Members of Parliament to spend in their own constituencies. In some respects, though, Taiwan has become a victim of its own success in supporting these schemes: as the size of these programs has grown, the Solomon Islands government itself has picked up ever more of the tab, to the point where Taiwan is now funding under 20% of the total, down from 50% less than 10 years ago. So the relative importance and impact of Taiwan’s contribution has shrunk. Even more worrying from Taiwan’s point of view, China is far and away Solomon Islands’ largest export market. The most recent figures (for 2016) from the Department of Foreign Affairs and Trade in Australia state that over 62% of Solomons’ exports go to China. (This is virtually all logs.) By contrast, Taiwan takes around only one per cent of exports from Solomon Islands. Such a level of economic dependence on China leaves Solomon Islands highly vulnerable to economic pressure – should this be exercised. Senior Solomon Islanders will be aware of claims made earlier this year that Palau, another of Taiwan’s Pacific allies, has been the victim of economic pressure with China essentially turning off the tap of a lucrative flow of Chinese tourists to the small northern Pacific country. There is no doubt that Taiwan has worked hard on its relationships in Solomon Islands over many years. High level visits, in both directions, remain an important part of Taiwanese diplomacy. And there is no doubt that many senior Solomon Islanders are sentimentally and sincerely attached to the relationship. But not all Solomon Islanders view Taiwan’s influence fondly: key elements of civil society routinely bemoan the impact that constituency funds have had on governance in Solomon Islands, and on Taiwan’s role in fostering them. Above all, Taiwan will find it increasingly hard to dispel the intangible sense of China as a rising power, the sense that the tide of history is running in its favour, and not Taiwan’s. 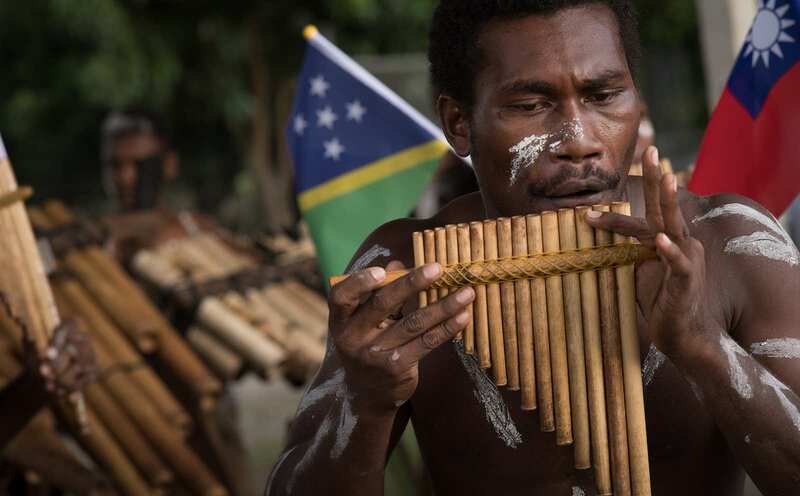 The idea that Solomon Islands may be missing out on opportunities for “game-changing” or “transformational” levels of investment from China will be hard to counter. President Xi Jinping’s visit to Port Moresby for APEC’s November meeting will be a key opportunity for China to underline what countries such as Solomon Islands are missing out on. And Solomon Islands’ elections will bring a new crop of parliamentarians onto the scene. Although three-quarters of MPs were re-elected in the last national elections, the historical average is closer to 50%. Whatever the result, new players will be on the scene, introducing – from Taiwan’s point of view at least – an unpredictable dynamic. The impact around the region of a diplomatic switch would be significant. Solomon Islands is by far the largest of Taiwan’s Pacific allies in terms of population and land area. Such a move would reinforce the sense of China as an increasingly important player in the region. The impact on Solomon Islands itself is, frankly, anyone’s guess at this stage. Certainly, any future Solomon Islands government contemplating a switch would come to the negotiating table with a lengthy shopping list of ideas for future cooperation. Chinese assistance could prove seriously disruptive within the donor community, still overwhelmingly dominated by Australia in the post-RAMSI era. Australia will scrupulously avoid making any public comment on Solomon Islands’ diplomatic choices. As much as anyone, Australia knows where this is heading: in the end, the only uncertainty is in the timing. The last thing Australia wants to do is to end up on the wrong side of history. A diplomatic switch by Solomon Islands to Beijing is by no means a sure thing following next year’s elections; the Taiwanese will certainly work hard to prevent that. Even so, the chances of it happening must be assessed as greater than at any time over the past several decades. Watch this space.